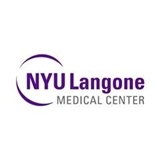 Located near New York City's famous Theater District, NYU Ambulatory Care West Side, brings the expertise of NYU Langone Medical Center to a thriving and diverse community on the west side of Manhattan. Please note - if scheduling an appointment with one of our specialists, check with your insurance company to find out whether a referral is required for your visit. Lisa was extremely helpful in preparing me for my endoscopy, something I was very nervous about (despite it being a routine procedure). She made it seem easy, and I was pleased with how everything went. The only thing I'll say is that I was not 100% sure what the results of my endoscopy were initially (until I came back for my annual physical several months later), and I wish that I had been given clearer instructions about determining the outcome of the endoscopy. The next time I need this type of procedure, I'll be sure to book a follow-up right away. Dr. Traube is sweet, friendly and thorough. I am grateful that he saw me on such short notice. Wonderful experience. Everyone on the team was kind and understanding and answered all of my questions. My first visit with Dr. Seidler was excellent. She was very pleasant to talk to and went through my entire chart. She went over my concerns, as well as asked if I had any additional questions. Wait time was super quick and the office is very clean. Will definitely be returning!! Down to earth, nice guy. Thought he was very thorough and balanced. I went in for an annual checkup and Dr. Lippett was extremely nice and professional. She asked a ton of questions and listened to any concerns. I'm always nervous in a doctor's office but she made me feel relaxed and paid attention to any concerns. I highly recommend seeing her. I also had to get blood work and Josh at the facilities was very kind and it was the first time I didn't pass out getting blood drawn. Dr. Frankenberger is always thorough in his explanations involving treatment choices, medications, etc. He is never rushed or impatient, and really listens to his patient. I would highly recommend (and have recommended )him to my family and friends. Barbara S.
Excellent provider who is very caring she listed to all of my needs and truly cared about my wellbeing. I am so happy that I switched to her! Nurse Newland is a very charming and warm person. Her demeanor sets you at ease. She explained various aspects of the reason for my visit and I was left with food for thought. I highly recommend her, The reception area was warm and welcoming and the staff was professional, knowledgeable and pleasant. This was a great experience!